It is widely regarded that one of the major drivers for any successful business is a strong marketing and advertising presence. It’s absolutely vital to get yourself out in front of potential guests. And with the large amount of marketing traffic that exists in most industries, there seems to be a constant push for that “little extra something” to help your accommodation business shine through the rest. This is where a good content marketing strategy can really set you apart from your competitors. Although more traditional forms of marketing can still be effective for the right audiences, there has been a major shift over the years to a more modern style of marketing. In this age, nearly everyone owns a smart phone or a computer, allowing access to endless amounts of information easily with just one swipe or click. For this reason, marketing your business online has proven effective, and has become a necessity. Respectively, building a credible online reputation for your business is just as important. That’s where Content Marketing Strategy comes in. It’s different from traditional marketing in that with traditional marketing techniques, the main goal is to simply pitch your products or services to your potential customers. Whereas with a Content Marketing strategy, the objective is to produce valuable and pertinent content for your customers and prospects to help them in resolving relative issues. There are many different ways in which you can apply a Content Marketing strategy to your business. Here are a few of the most popular types of Content Marketing along with a brief description of how each type can be valuable to your business. Adding a blog to your website is probably one of the most valuable and effective forms of Content Marketing that a business can utilise. Mostly because it can aid in creating more organic traffic to your business website by boosting your search engine optimisation (SEO). Providing inbound content with relevant keywords for your potential customers is a great and inexpensive way to increase how visible your website is on Google. In addition, the more valuable the blog content is for your potential customers, the more likely they will be to choose your business when they are ready to pull the trigger. Social Media platforms are a vital element of your content marketing strategy to attract potential customers. These days, just as everyone has a smart phone, it seems everyone also has at least one, if not multiple social media accounts. This creates an extremely valuable way for businesses to establish their voice and reach their customer base. It allows for you to relate and connect to your audience with posts and photos, strengthen your online reputation, and send potential customers over to your website. Infographics are another great way to provide valuable and educational content to your potential customers. This form of Content Marketing is essential when the objective is to provide your customers or prospects with visual data such as statistics or explanations using pictures. In many cases, a clear and eye-catching illustration of the information helps your audience visualise and completely understand the content provided. If you’re like most business owners, your business is very important to you. It’s your baby, and the thought of letting someone else take control and manage certain aspects can be a bit unsettling. However, allowing a trusted source to manage your content marketing strategy for you could be a smart decision that proves beneficial in many ways. 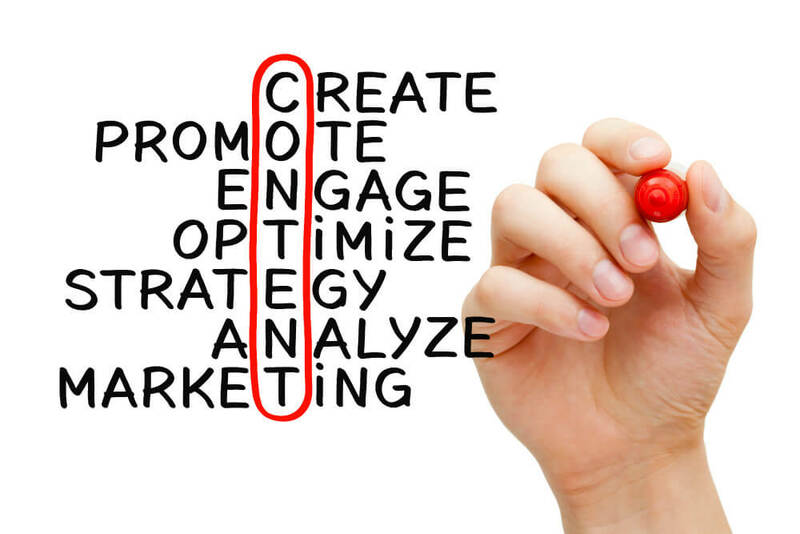 Managing your content marketing can be time consuming. Let’s face it, there never seems to be enough hours in a day to get everything done. By outsourcing your content marketing, you and your employees will save valuable time which can be spent completing other necessary tasks that keep your business running smoothly. As creating content marketing can be a full-time job, you will save money outsourcing your content marketing as opposed to hiring an additional employee to manage it for you. Also, by outsourcing to a trusted source, you can be confident that the content produced will be of the best quality as it would be their main priority to do necessary research and provide quality content for your business. Here at HiRUM, we find that many property managers often mention they don’t have the time or expertise to promote their property. In response, we have created the Marketing Reach Program which provides property managers with a worry-free solution. HiRUM MRP manages many aspects of your content marketing strategy for you and ensures you are able to get in front of potential travellers when they are most likely to book. We will set-up and manage your Google My Business listing, completely manage your Google reviews and provide you with regular reports on your property marketing performance. We will even set-up and optimise your social media pages for you, keeping them active and engaging. For more information on our Marketing Reach Program, please visit our webpage or contact one of our friendly team members.